The perfect combination of venue and party continue their love affair... with a minor change. Irrepressibly fabulous, Glitterbox has announced its return to Hï for 2019, albeit with a little difference. At the end of last season, Simon Dunmore took to social media to proclaim how happy he was with both island residencies. 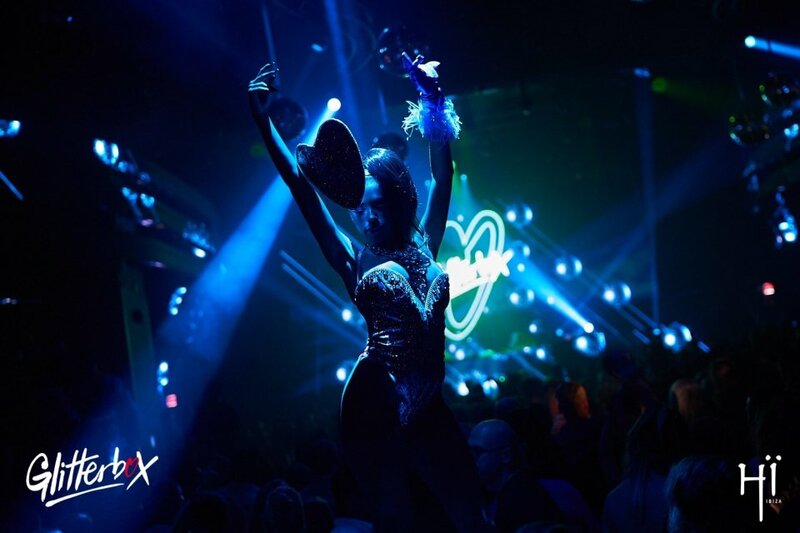 With Glitterbox catering to the older more affluent clientele at Hï, and Defected filled a gap in the market with affordable clubbing for the youth in San Antonio. Yet despite clearly being onto a winning formula, Simon and the Glitterbox camp have decided to tweak things ever so slightly for summer 2019. Hï's flamboyant and shiny disco odyssey moves from its Friday slot to a new home on Sundays. The campaign begins with the opening party on 26 May all the through to the closing on 6 October, making this its longest Ibiza season to date. Like we say, you can never have enough of a good thing. 20 weeks of unadulterated disco heaven, the same as Defected, which itself swaps to Fridays as part of the rejig. Despite the switch of nights, we can't imagine much else changing for the island favourite. Same music policy spanning vocal house, club classics and disco. Same outrageous characters. Same dazzling production. Same line-ups filled with masters of the scene. 2019 marks 20 years strong for team Defected. With its Eden residency also confirmed, its clear that the house music juggernault is primed and prepared for that mammoth landmark on Ibiza next year. Admittedly, we still have the best part of six months to wait (164 days to be precise!) However, it means those eager to make firm plans and get booking can now start doing so. Tickets will be available soon. Stayed tuned to our magazine, check our social channels and subscribe to our newsletter to be notified of when they go on sale and for all future announcements.